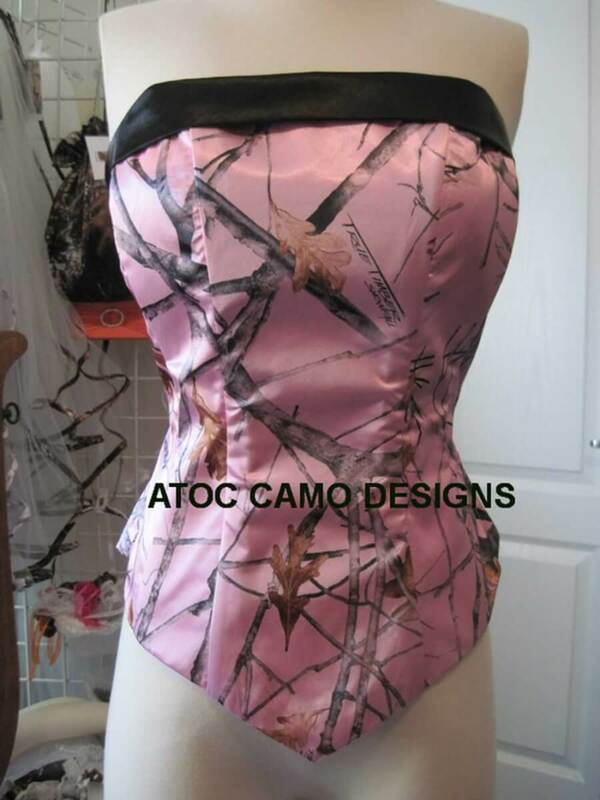 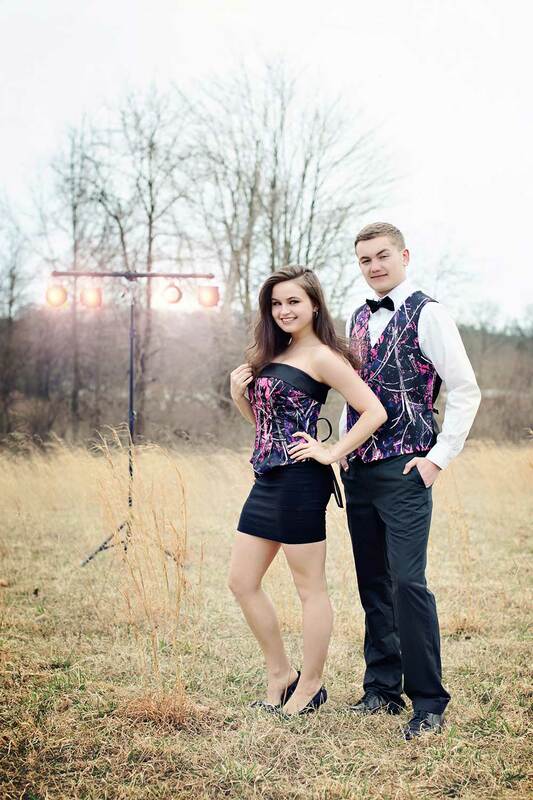 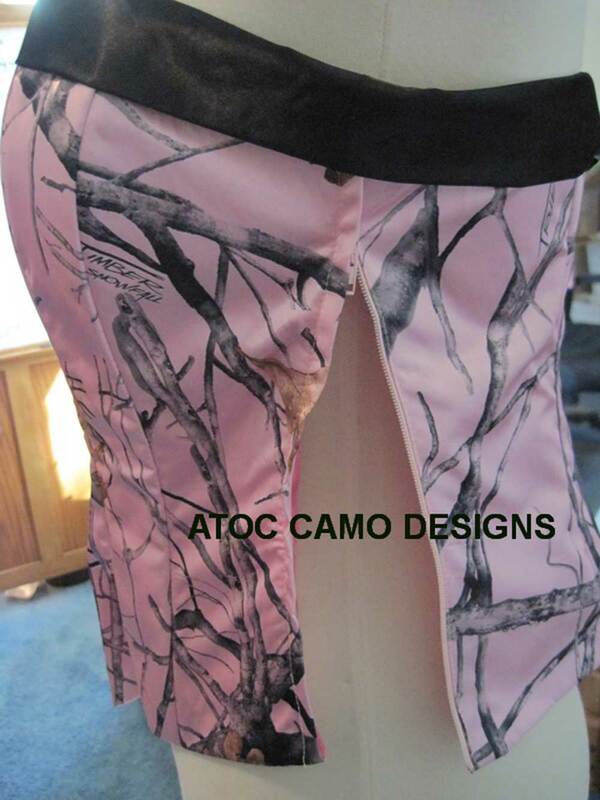 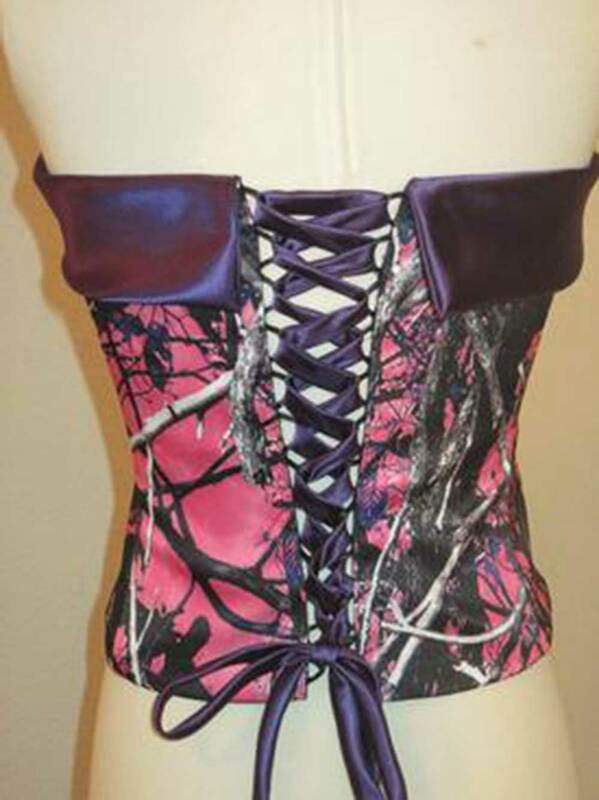 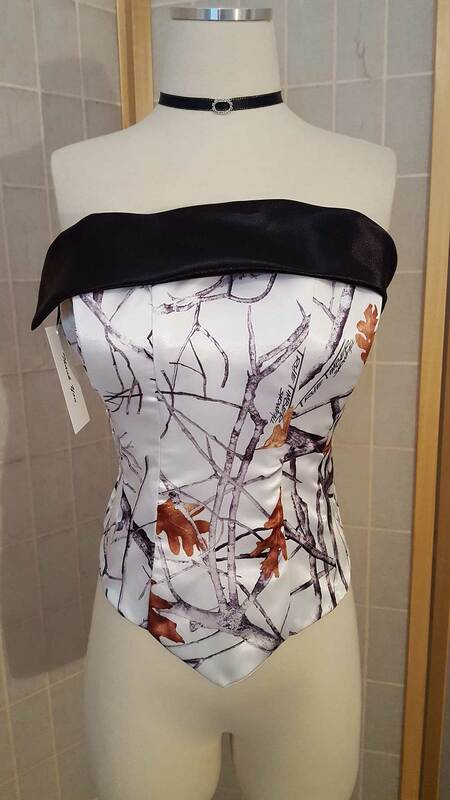 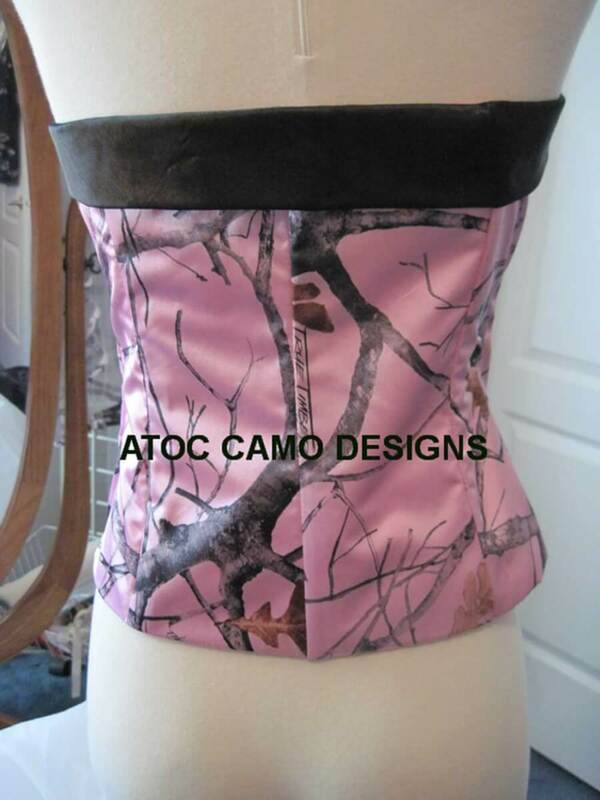 “The camisole top features a strapless neckline with fold-over bodice band, which can be made in your favorite camo pattern or solid satin color. 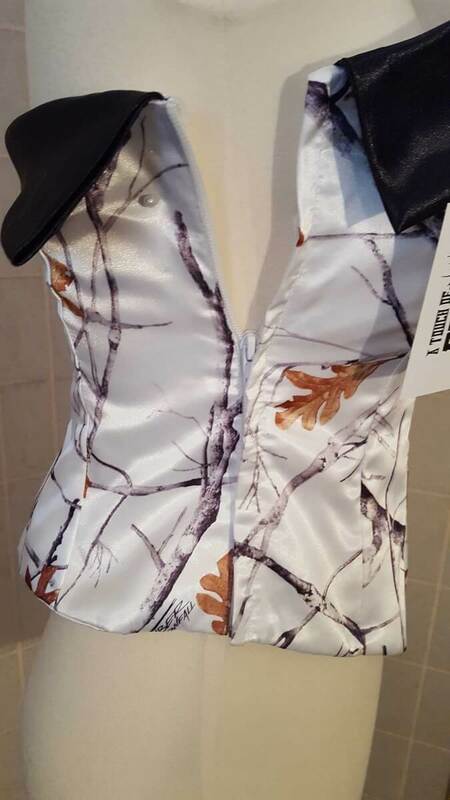 The camisole comes standard with a hidden side zipper, but an optional corset back with modesty panel and lace-up ties is also available. 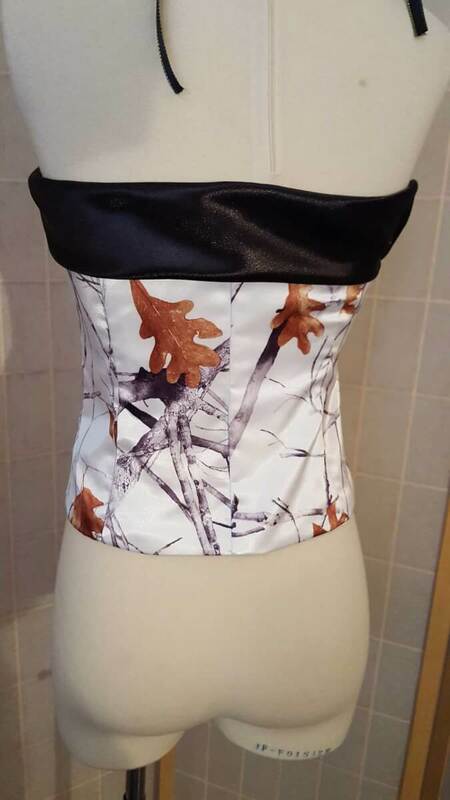 This dress comes fully lined with triple layered, stiffened fabric, and 6-10 bones for support.